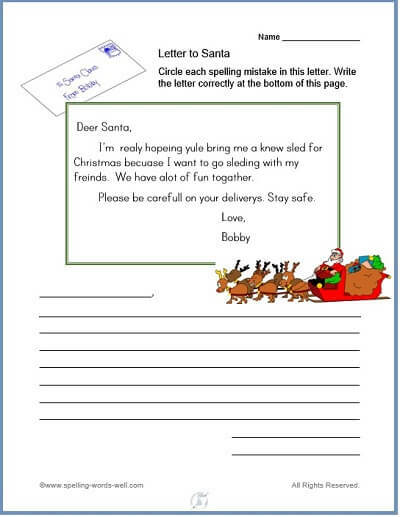 You're in the right place for some fun, free Christmas worksheets that your students will love. And while they're having fun, they'll also be gaining some valuable spelling practice. I’m realy hopeing yule bring me a knew sled for Christmas becuase I want to go sleding with my freinds. We have alot of fun togather. Please be carefull on your deliverys. Stay safe. I'm really hoping you'll bring me a new sled for Christmas because I want to go sledding with my friends. We have a lot of fun together. Please be careful on your deliveries. Stay safe. You may choose to review these frequently misspelled elementary words before passing out this page. It may also be helpful to review common homonyms such as your/you're, new/knew and others. For a long list of homonyms with definitions and examples, please see this page. NEW! Holiday Word Scramble - Spellers of all ages are sure to enjoy solving this "Happy Holidays" word scramble puzzle! 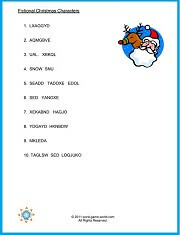 Printable Christmas Brain Teasers - Two super-fun, challenging holiday cryptograms for upper grade students. Choose a holiday quotation, a list of fictional holiday characters to decode--or both! 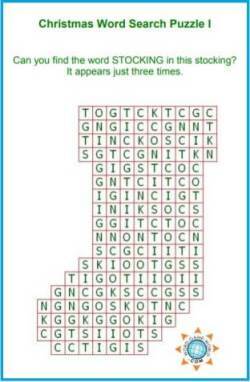 Holiday Word Search - This traditional word search contains 38 hidden words---and a twist! Fun for a party or to solve on your own. Christmas Word Searches - Two very non-traditional word search puzzles that you're sure to love. Look closely for special words hidden inside Christmas stockings. The first puzzle, you'll try to find out how many times STOCKING is spelled. In the second, you'll do the same for TOYS. These puzzles are a bit tricky, and oh, so much fun! 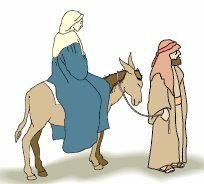 The Birth of Jesus Crossword - Celebrate the true meaning of Christmas with this engaging crossword puzzle. Clues are taken from the gospels of Matthew and Luke. Homonym Pairs - Or is it pears? 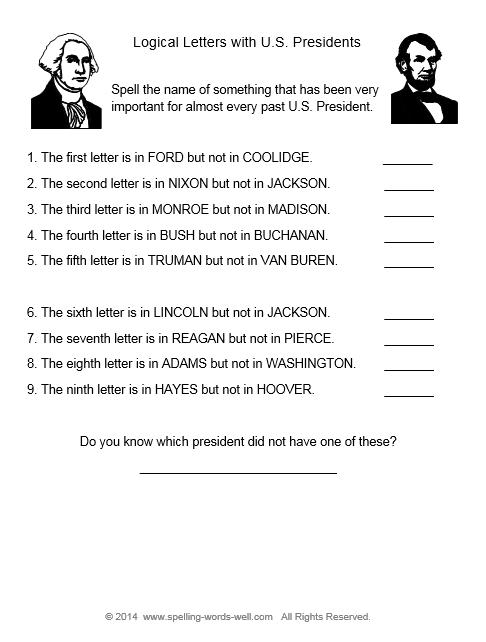 This fun page requires students to select the correct homonym in ten sentences. Then they'll find their answers in a pear-shaped maze! Compound Confusions! 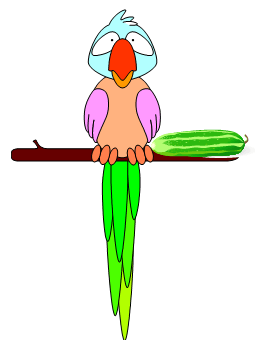 - This woodpecker introduces your students to a great compound word challenge! Great vocabulary and spelling practice. Double Letter Animal Word Search: Supply the missing pair of letters, then find each of the 40 animal names in the word search puzzle. Fun spelling practice for any age!